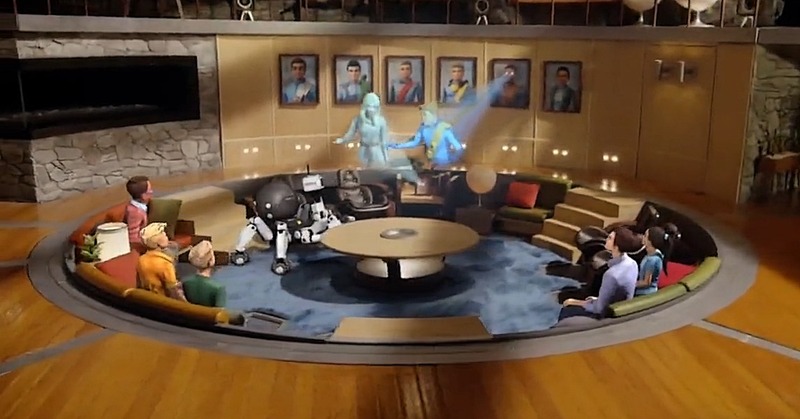 My young son has been on a Thunderbirds Are Go binge for the last several months -- he can articulate the differences between the 1960s and the 2010s models, he’s been on the Thunderbirds tour at Weta Workshop, and he often watches an episode over breakfast. Recently the episode of the day was ‘Lost kingdom’ (season 2 ep. 8), where the Thunderbirds visit Atlantis. Adam Savage interviews Ben Milsom (Thunderbirds Are Go production designer) at the Thunderbird 2 launch strip, one of the highlights of the Weta Workshop tour. Now, ‘Lost kingdom’ gave me pain at the time -- the kind of pain that a geneticist feels when watching Jurassic Park -- but my own love of Thunderbirds prevents me from doing a tear-down. Besides, as mistreatments of archaeology go this episode isn’t very momentous. There are plenty of people out there pointing out bad archaeology where it really matters: like the way Indiana Jones habitually destroys archaeological context, or the barrage of lies in Ancient Aliens. The excellent David S. Anderson (@DSAArchaeology) is a bountiful source of sanity and good humour on the topic. High-profile stuff like that is where it’s really important to point out the nonsense. I did a post on Atlantis nearly a year ago. That time, I was simply addressing the most popular misconceptions about the story, as told in Plato’s Timaeus and Critias. Today I’d like to talk about the adaptation of the Atlantis story in fiction. In most modern treatments, though, Atlantis isn’t the star. It’s just a hook. The implausibility of Atlantis is something that has to be redeemed: either by the plot, or the characters, or the visual design. That’s certainly the case in the Disney version (Atlantis: the Lost Empire, 2004). The main character, Milo, goes on a journey of exploration and discovery, but the discovery of Atlantis itself is always secondary. The real interest lies in the characters that accompany Milo on the expedition, and the steampunk tech that they use. When they actually find Atlantis, it turns out to be a mash-up of other films, especially The Road to El Dorado (2000) and Castle in the Sky (1986). There, and in Stargate Atlantis (2004-2009), you could replace Atlantis with any old lost city and the story would work just as well. Thunderbirds lies somewhere betwixt and between. The writers throw in some ancient Greek things for flavour. There’s a colossal statue of Poseidon. There’s an Ancient Mystery in the ruins, an advanced mechanical computer whose controls are labelled with letters of the Greek alphabet. This version of Atlantis aims at being slightly more than just a convenient name for a lost city. But there’s no interest at all in the details of Plato’s story. Plato’s Atlantis is in the Atlantic (hence the name! ); in Thunderbirds it’s near Greece, in the Aegean Sea. Plato’s story is about Athens’ resistance to an overwhelming threat from outside; Athens doesn’t even get a mention in Thunderbirds. Plato’s Atlantis is flooded under shallow, muddy water; the Atlantis of Thunderbirds is hundreds of metres down. I wouldn’t criticise this by calling it a hodge-podge. It’s obviously not meant to be systematic. What it is meant to be is a mash-up. This Atlantis is a constellation of evocative gestures, not a creative expansion on the source material as in Indiana Jones. It points at themes and genres, rather than at a single story. Another obvious gesture is the mechanical computer that the characters find in the ruins, called the ‘Solar Kythera’. The ‘Solar Kythera’ doesn’t appear in Plato’s Atlantis or any other ancient story. It’s added in by the writers. And it’s transparently an allusion to a real machine, the Antikythera device, a 2nd-1st century BCE astronomical computer found in an ancient shipwreck in 1902. ‘Antikythera’ isn’t the device’s actual name, by the way: it’s called that because the shipwreck is near the island of Antikythera. So the ‘Solar Kythera’ takes us away from Plato, but it still keeps us firmly in the realm of ancient Greek things under the sea. A third gesture relates to the size of the ‘Solar Kythera’ and its role in the story. The real Antikythera device is the size of a toaster; the Solar Kythera in Thunderbirds is as big as an office building. Totally impractical as an astronomical tool. But useful as a gesture. In the final act of the episode, the Solar Kythera’s controls have to be adjusted to avert a disaster, and so two characters climb up it, bounding from one level to the next, and rescuing each other from fatal drops as they go. At this point it becomes much more obvious what its real inspiration is: it’s a jumping puzzle out of a video game. It’s become a bit of a tradition in video games to have a gigantic orrery that the player has to climb and adjust. Real orreries, by contrast, are compact table-top devices, mostly dating to the Georgian era. I say ‘video games’, but the earliest example I can find of someone climbing a colossal orrery comes from the film Tomb Raider (2001). Still adapted from a video game, mind. 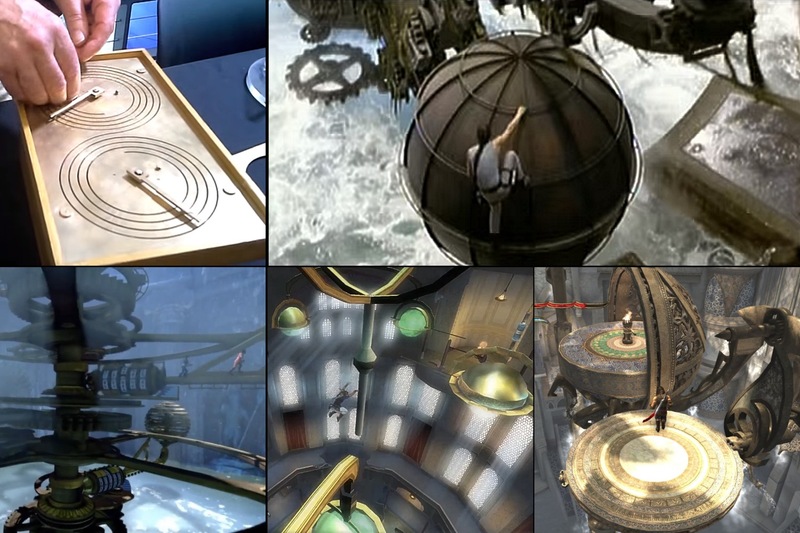 Starting at top left: (1) a working model of the Antikythera device; (2) the colossal orrery from the film Tomb Raider (2001); (3) the ‘Solar Kythera’ from Thunderbirds; (4) and (5) colossal orreries from the video games Prince of Persia: the Sands of Time (2003) and Prince of Persia: the Forgotten Sands (2010). Between them, this mash-up of gestures evokes authenticity (Plato’s Atlantis); the flavour of Atlantis in the modern imagination (Greek, ancient, underwater, sophisticated); and the excitement, rapid pace, and physicality of a video game jumping puzzle (the colossal orrery Solar Kythera). This episode doesn’t have as much space as usual for the Thunderbirds’ technology fetish, so the Solar Kythera acts as a substitute. As archaeology, it’s hopeless. For a children’s programme -- well, I’ll take it. Shout-out in closing to David Graham, the legendary British voice-actor. 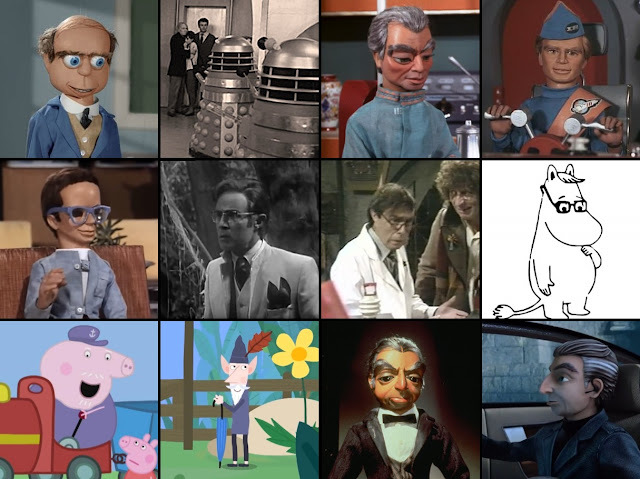 Some of his many roles: in Supercar (1961-1962) as Dr Beaker; in Doctor Who (1963-1966) as the co-originator of the Dalek voice; in Thunderbirds (1965-1966) as Kyrano, Gordon Tracy, and Brains; in Timeslip (1970-1971) as Controller 2957; in Doctor Who ‘City of Death’ (1979) as Dr Kerensky; in Moomin (1990-1991) as the Snork; in Peppa Pig (2004-present) as Grandpa Pig; in Ben & Holly’s Little Kingdom (2009-2012) as the Wise Old Elf; and perhaps his most iconic role, unless that honour goes to the Daleks, in Thunderbirds (1965-1966) and Thunderbirds Are Go (2015-present) as Parker.